Good news to chefs, home cooks, and foodies around the metro! We now have something more to look forward to as the all-new season of US Master Chef surprises viewers with a feast of flavors that are both inspiring and entertaining. 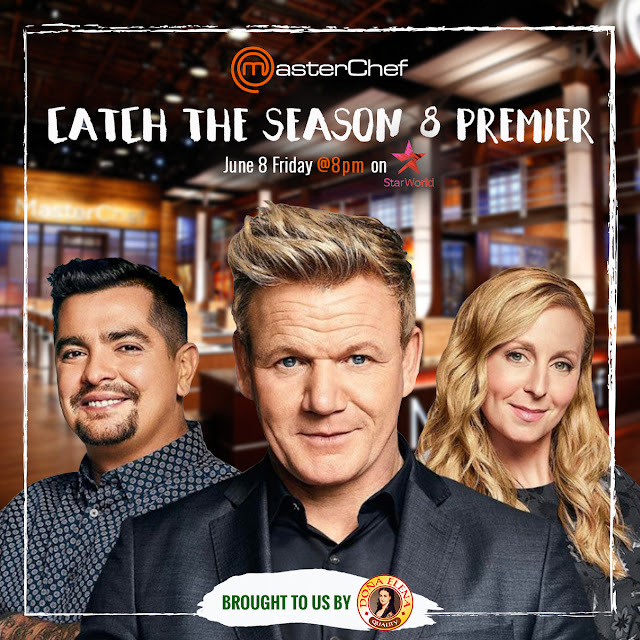 The newest season of US Master Chef will premiere on June 8 at 8 PM on Star World. The show promises to showcase hilariously yummy dishes, and a mix of new breed of personalities who can potentially change the culinary scene, one recipe at a time. To intensify the excitement, James Beard award winner and Mexican-American Chef Aaron Sanchez joins acclaimed pastry chef Christina Tosi, and main host and celebrity-chef Gordon Ramsay as judges. Doña Elena Olive Oil, the no. 1 olive oil brand in the Philippines, will be airing great-tasting healthy recipe ideas in between commercial gaps. From dipping, sautéing, to frying, Doña Elena Olive Oil unearths all-new feast of healthy meal ideas that any foodie will love. Doña Elena Olive Oil contains 80 percent monounsaturated oleic acids better known as good fats and is naturally rich in A, K, and E vitamins that help lower bad cholesterol. Olive oil does not only provide health benefits but also elevates the taste of any dish to a whole new level.